Aparna Darisipudi is currently a workforce analyst (MBA Fellow) with the US Department of Labor. She is an experienced program manager with international development, administration, marketing, operations and a business background. She has demonstrated proficiency in monitoring, improving and implementation of programs and policies; managing teams to deliver quality products and services; using oral and written communication to convey recommendations to internal and external audiences; collaborating with internal and external stakeholders to facilitate projects to completion in a timely and efficient manner. She graduated with an MBA in International Business and Marketing from the School of Business at George Washington University and completed a Professional Certificate in Sustainable Design from MCAD in 2012. 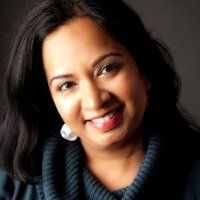 Aparna is based in Virginia.